She remembers driving up to the building, her stomach in her throat. It seemed like a mile walk to the front desk. She could hardly get her name out, “Hi, I’m Peggy Larsen, checking in.” Here she was, at the Huntsman Cancer Institute. This was all too real—breast cancer. Little did she know that day that felt so dark would lead to the chance to brighten others’ lives in so many ways. OHHHH NO YOU DON’T, CANCER! Peggy not only decided to battle breast cancer with a smile and a hug – she decided to kick its tail with fierce determination. 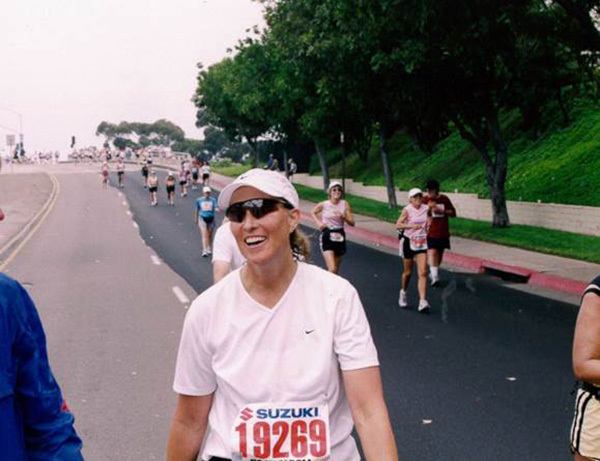 She went to work every day, and as an avid runner, she signed up for another marathon. “I trained and ran that marathon during my treatment. It was so hard. I was so tired, but I did it!” said Peggy. 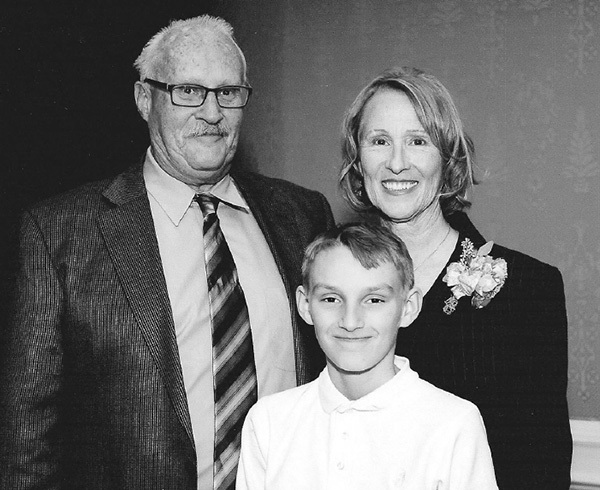 While battling breast cancer sounds difficult to most of us, Peggy has survived much more. As a teen she turned her life around from being a rebellious, runaway hippie to a straight-A student, only to find herself pregnant by age 17. She got married, got her high school diploma, and had her first child by 18. When her husband became violently abusive, she escaped him and started out with nothing more than that diploma and a resolve to care for her young son, Randy. 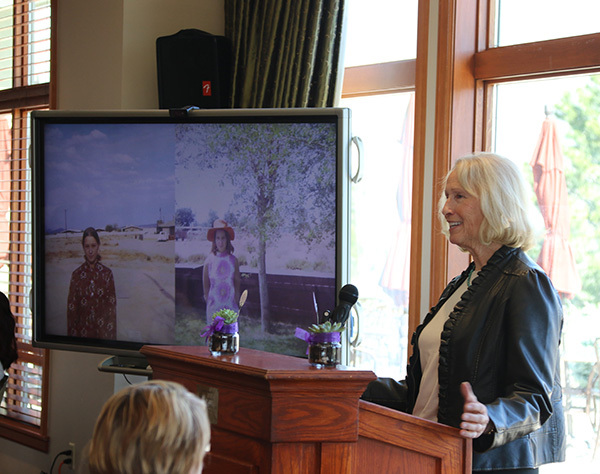 She took a job filing at an insurance agency and over the next few decades worked her way up to become the first female executive at Utah’s largest workers comp company, Workers Compensation Fund. She also met and married the love of her life, Jim. Together they’ve weathered more storms – losing their daughter, Amber, to a drowning accident at just 19 months old, standing by her son, Randy, as he’s pivoted between drug addiction and rehabilitation since his teens, and taking on full-time parenthood again, raising her grandson Zach. 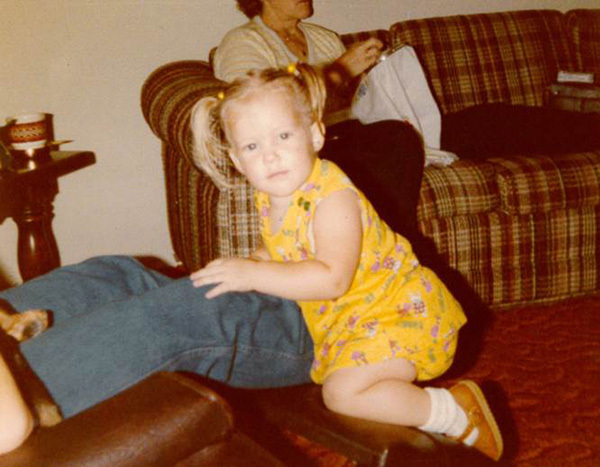 Not long after her battle with breast cancer, Peggy and Jim decided to start a nonprofit, Amber Haven, (named after their daughter). Amber Haven’s mission is to help struggling mothers and young women not only survive—but thrive. 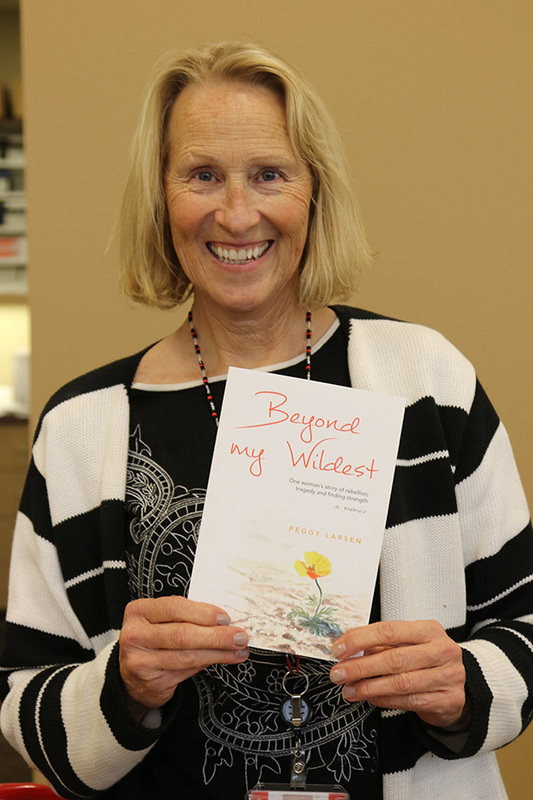 To make her nonprofit possible, Peggy wrote a book. Peggy decided if her life challenges could help others have the courage to overcome their own difficulties, it would be worth it. She published her acclaimed memoir, Beyond My Wildest, earlier this year, and she’s dedicating the profits to Amber Haven’s cause. “After the loss of Amber, we always wanted to do something to honor her and find a reason to use the loss to make a difference, to turn a tragedy into a sunshine,” said Peggy. Peggy is often invited to speak at large conferences and events, where she shares her own “live sparkly” message of hope, tenacity and courage in both business and life. From battling breast cancer to finding success and giving back, we at Origami Owl would like to applaud Peggy for being a Force For Good – and for reminding us that with love, grit and determination, anything is possible. To find out more about Amber Haven and Peggy’s memoir, visit www.beyondmywildest.com. To join Origami Owl in the fight against breast cancer by ordering your Breast Cancer Awareness Ribbon Charm from your Origami Owl Designer!